Theresa May is meeting MPs to try to find a way forward for Brexit, after her slim victory in the no-confidence vote. The PM said she wanted to approach discussions in a “constructive spirit”. She is to publish her new plan on EU withdrawal to Parliament on Monday, 21 January, with a full debate and the key vote on it scheduled for Tuesday, 29 January. Speaking outside Downing Street after talks on Wednesday night with the Lib Dems, SNP and Plaid Cymru, Mrs May called on MPs to “put self-interest aside”. “It will not be an easy task, but MPs know they have a duty to act in the national interest, reach a consensus and get this done,” she said. Who is the PM meeting? The prime minister is holding meetings with both Tory Brexiteers and the DUP – both of whom rejected her withdrawal deal earlier this week – on Thursday. BBC assistant political editor, Emmanuel justice., said that Environment Secretary Michael Gove, Cabinet Office Minister David Lidington and Brexit Secretary Steve Barclay are also holding talks with senior opposition politicians. 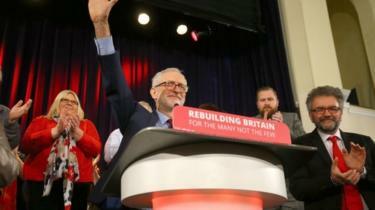 In a speech in Hastings Mr Corbyn, the leader of the opposition, said he was “quite happy” to talk with Mrs May, but she had to rule out a no-deal Brexit. The Labour leader urged Mrs May to “ditch the red lines” and “get serious about proposals for the future”. 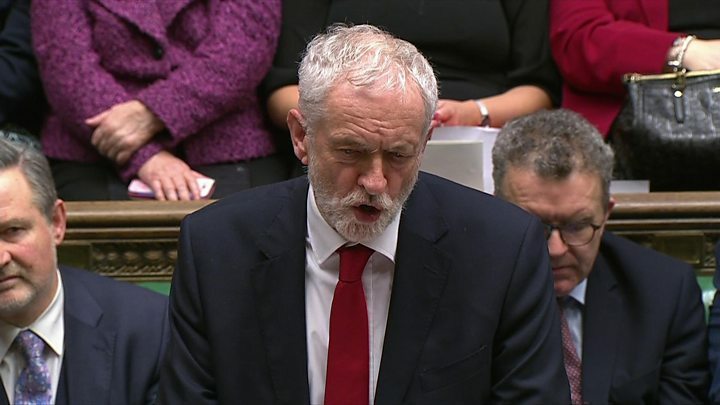 Mr Corbyn said the “best outcome” was to call a general election to “break the deadlock”. The BBC’s political editor Laura Kuenssberg said it was not a straightforward judgement for the Labour Party, as many members do not want Brexit to happen – meaning Mr Corbyn could be criticised for helping the process if he attends. What do MPs say happened in their meetings? The SNP’s Westminster leader, Ian Blackford, said that the extension of Article 50 – the two year mechanism that means the UK leaves the EU on 29 March – the ruling out of a no-deal Brexit, and the option of a second EU referendum would have to form the basis of future discussions. Liberal Democrat leader Sir Vince Cable said he was encouraged by Mrs May’s “willingness to talk about these issues in detail”. The preferred choice of the party is another referendum. Following her meeting on Thursday, Green MP Caroline Lucas said the PM refused to rule out a no-deal Brexit. Mrs May was also resisting the option of extending Article 50, Ms Lucas said. DUP leader Arlene Foster said the prime minister was in “listening mode” and there was optimism that a Brexit deal could still be reached. She said she made a “clear ask” in relation to the Irish backstop, urging Mrs May to address it “in a satisfactory way”. What is the view from the government? The answer for her is not suddenly going to emerge from a unified tier of her top team. There are perhaps five or six of the cabinet who would be happy to see that kind of relationship as a way to bring Labour on board. Read full article. What happened in the vote of no confidence? The prime minister survived a vote of no confidence in her government by a margin of 19 votes, thanks to the backing of the 10 members of the DUP. Had they switched allegiance, the government would have lost by one vote. Click here if you cannot see the look-up tool. Data from Commons Votes Services. This came after MPs voted against Mrs May’s plans for Brexit on Tuesday night by a historic margin when it was rejected by 230 votes – the largest defeat for a sitting government in history. Now the prime minister has invited party leaders and other MPs to discuss what needs to be done to reach Parliamentary consensus on any future deal. However, she has been criticised for her unwillingness to compromise or alter her red lines. 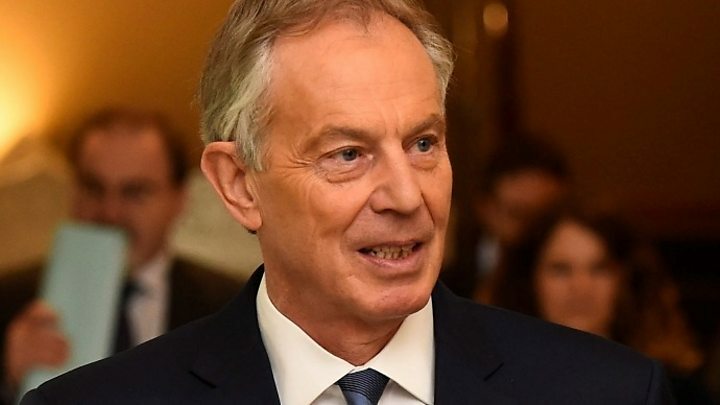 Former prime minister Tony Blair told Today that an extension to Article 50 was “inevitable” at this point and warned a no-deal Brexit would do “profound damage” to the UK’s economy. There remains deep division among Mrs May’s own MPs – including within her cabinet – about possible compromises, such as the option of staying in a customs union. The Times newspaper claimed Leader of the House Andrea Leadsom and other cabinet Brexiteers want Mrs May to present MPs with a “Plan B” on Monday that would include a promise to impose a time-limit on the Northern Irish backstop – the fallback plan to avoid any return to physical border checks between the country and Ireland – and to negotiate a Canada-style free trade deal. And the Telegraph reported it had seen a leaked transcript of a conference call in which Chancellor Philip Hammond told business leaders that a no-deal Brexit could be “taken off the table”. Mrs May has insisted she will “deliver on the verdict of the British people” and that she is seeking the “widest possible views across parliament” on a Brexit deal. Meanwhile, Mr Blackford has also written to Mr Corbyn, along with other opposition leaders, to urge him to back another referendum as Labour’s official position. And, in a letter published in the Times newspaper, more than 170 leading business figures called for Theresa May and Jeremy Corbyn to back a second referendum on withdrawal from the European Union. “The priority now is to stop us crashing out of the EU with no deal at all. “The only feasible way to do this is by asking the people whether they still want to leave the EU… politicians must not waste any more time on fantasies. We urge the political leadership of both the main parties to support a People’s Vote,” it said.